It allows first-time buyers to borrow up to 90% of a property's value from their local authority. Applicants have to show they have been turned down for mortgage approval by two banks. Figures released to RTÉ's Morning Ireland show that there have been 660 applications to the scheme across local authorities in Dublin, Cork and Limerick since it went live on 1 February. The original national target was to approve 1,000 loans over three years. So far 138 applications have been approved and 141 have been declined. A further 323 are still being processed. Of the figures obtained, Dublin City Council is the local authority with the highest rate of acceptance to the scheme. It has approved 59 applications and declined just two. However, in South Dublin applicants are almost three times as likely to be declined for the loan. There have been 23 refusals and eight approvals. Almost 70% of processed applications to Cork County Council have been turned down. Across the four Dublin local authorities, 111 applications have so far been approved from 466 applications. A spokesperson for Minister Murphy, said that the scheme would be extended once its original budget of €200m was drawn down. "The Housing Finance Agency will access new funding at the prevailing rates in the market and will make available a second tranche, at a new rate, when the first tranche is fully advanced," he said. However, applicants have reported difficulties with the income limits of the scheme. Gross earnings cannot exceed €50,000 for a single person or €75,000 for a couple. Some applicants, who have been refused the loan, say they have been advised that the income limits are inclusive of earnings from allowances and overtime. Rebecca Cowman, 29, from Dublin, has been turned down for the mortgage because her earnings exceed the limits. She has already been declined by private banks and says she is now being unfairly locked out of the State-backed scheme. "We were told that overtime brought us over the income threshold but we were doing the overtime to obtain a mortgage, to get a deposit." Ms Cowman says that when she was applying to private banks they were not considering overtime in their assessments of her earnings. "It is so frustrating. I could accept if I was declined on the basis of a loan, or a failed payment, but to say I have been declined on something I am eligible for, it is so upsetting," she said. A spokesperson for Minister Murphy said: "When calculating the upper income limits for the loan, non-basic salary, such as overtime or allowances, are considered as income on a case-by-case basis. "The nature of such overtime or allowances is taken into account, such as if it is considered to be regular or irregular in nature," the spokesperson said. "The option for borrowers with incomes in excess of the income limits set for the Rebuilding Ireland Home Loan is to seek housing finance from a commercial lender." 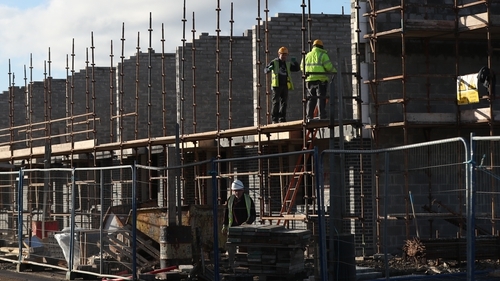 The Department of Housing has refused to release the details of the credit criteria under which applications to the scheme are being assessed. In response to a Freedom of Information request, the Department said releasing the details of the policy would not be in the public interest. It said making the full criteria public "would negatively impact on the ability of local authorities to effectively execute their obligations to the possible financial detriment of both individual and citizens and the State itself." Fianna Fáil TD for Dublin West Jack Chambers said there is a lack of clarity around the loan. "The safest cohort of people are being buried by a technical anomaly," he said. "The consequence of this is that they have wasted months of their lives trying to access a scheme where they can't understand or know the credit policies because the local authorities won't publish it. "There has been no transparency around the credit policy. Lots of couples are in the dark about whether they should apply." Successful applicants to the scheme can obtain a mortgage of up to €288,000. The latest figures show the average mortgage approved by Dublin City Council was for €227,850. In Fingal the figure is €225,000. In Dún Laoghaire-Rathdown just three mortgages have been approved out of 32 applications. The average mortgage granted was €208,974.